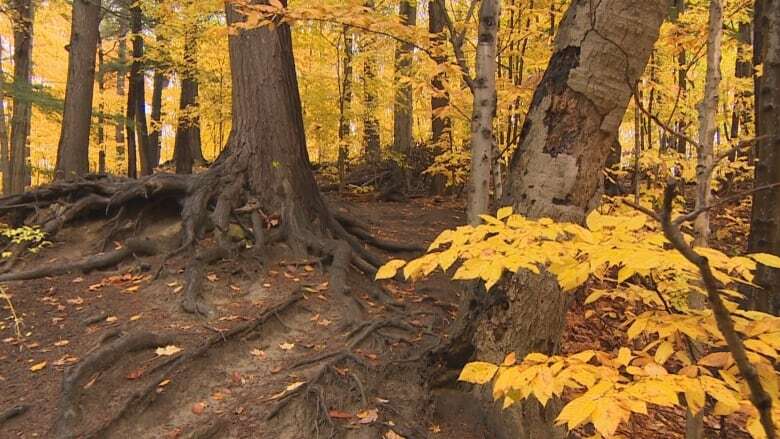 A researcher says ecological collapse of Toronto's vast ravine system has started because of invasive species but one way to save the narrow forested areas would be to form a large public-private partnership. 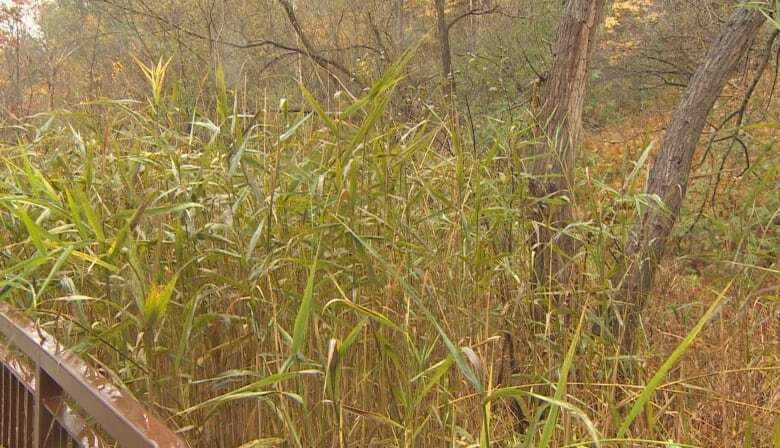 Eric Davies, a University of Toronto forest ecology PhD student, said native species — plants, mammals, birds, insects — are disappearing from Toronto's ravines at an alarming rate. The ravines, which make up about 17 per cent of Toronto's land or more than 11,000 hectares, are becoming silent. "The collapse has already begun," Davies told CBC Toronto on Sunday. "It's in the full throes of a massive decline." But Toronto residents could still make a difference in an effort to preserve and nurture the ravines, he said. 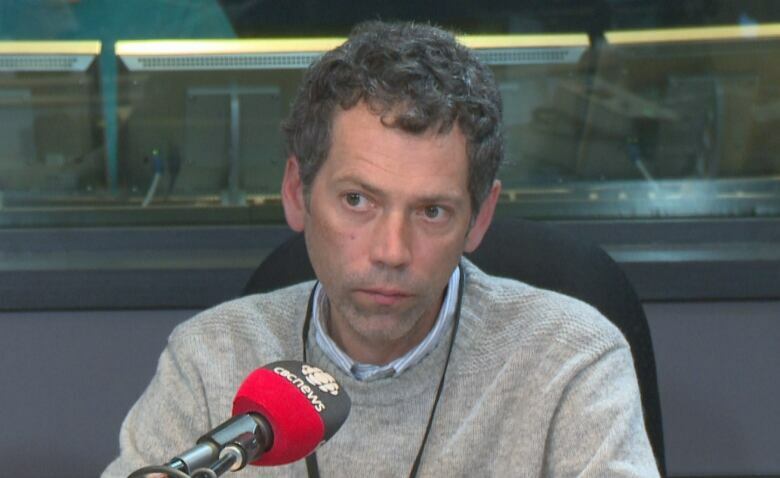 In an interview with CBC Radio's Metro Morning on Friday, Davies said the decline is evident by the detail that is missing, he said. "You go for a quick walk and it looks green. But you take a closer look and you'll start to notice that some of the key quintessential forest organisms would be missing, trees and plants and wildlife," he said. "The clear thing is that there's lot of Norway maple. It's taking over the diversity of native trees." Davies said a "base layer of vegetation" is also missing. For example, it would be hard pressed to find a carpet of Trillium, Ontario's provincial flower, in ravines in most areas in the spring. According to the final report of the Toronto Ravines Study: 1977-2017, released on Friday, Norway maple, an invasive tree species, has increased its tree canopy cover from about 10 per cent in 1970s to about 40 per cent in 2017. Invasive herbaceous plants, such as Japanese knotweed, garlic mustard and dog-strangling vine, are now found in more than 95 per cent of the forest floor surveyed by researchers. Invasive species not only take up space, they "toxify" the soil, "out-shade" native species and "out-compete for growth." creating an environment hostile to native species, Davies said. Davies said Toronto residents should be concerned about the decline of the city's ravines because they benefit Toronto recreationally, economically and ecologically. "In terms of the biodiversity, this is the Mothership, this is where everything is," he said. "It's important on all fronts, but the integrity of the system is declining so rapidly it's kind of threatening those benefits." Davies said the city is "trying" to save the ravines, but a large amount of money is needed and Toronto could follow the example of New York City, which has budgeted $385 million over 25 years in what it calls its Natural Areas Conservancy. The money is being used to fund a science-based program to take an inventory of natural areas, restore and steward them. New York City has created a team of scientists who are working closely with the city to promote biodiversity across the city's five boroughs, he said. "In a nutshell, it comes down to money. The level of funding that is required is massive," he said. For its part, however, the city of Toronto said in a statement this week that it has established a ravine strategy to guide its efforts to protect ravines in the city and it is determined to take steps to nurture the city's green spaces. "We want you to know that the city is committed to protecting, maintaining and improving the ecological health and resilience of these natural spaces. The city continues to make investments to manage the multiple pressures facing ravines," the statement reads. "A healthy natural environment that is stable, resilient and ecologically diverse is the foundation of every action and intention outlined in the ravine strategy." The Toronto Botanical Garden hosted a one-day Urban Ravine Symposium on Friday, attracting about 100 participants, many of whom went on a rainy tour of Wilket Creek Ravine, near Leslie Street, south of Lawrence Avenue East. 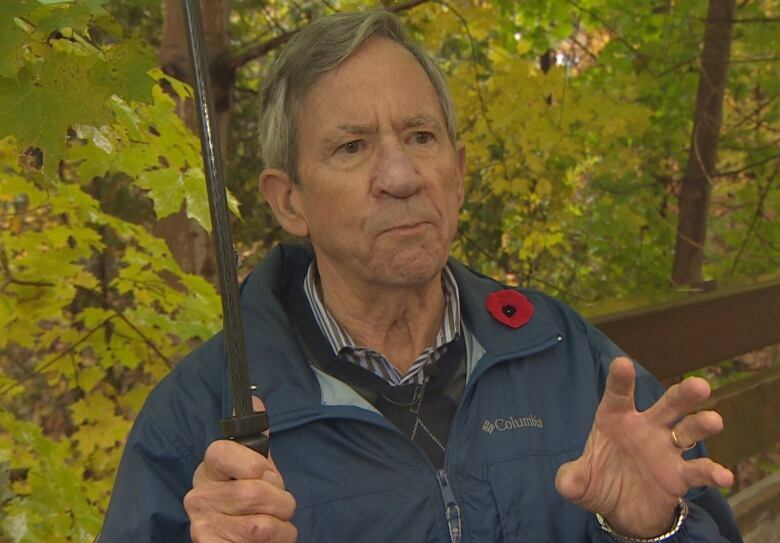 Paul Scrivener, a co-author of the report, told people on the tour that the report has begun to track the decline of the ravine system. "The key finding was there's been a huge change in Toronto's ravines that we studied since 1977," he said. The report recommends that the city restore the "ecological integrity" of the ravines and develop a plan to get rid of invasive species and replace them with native plants. Seeds of native plants can be grown to propagate the ravines, he said. "Someone has to speak for the trees and the animals," Scrivener said.